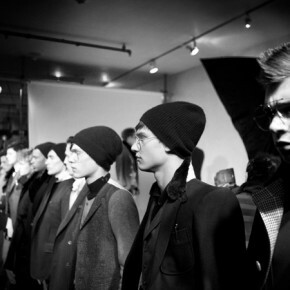 Antonio Azzuolo designs for Men, had his fashion show at Bennett Media Studio. His designs are crisp, tailored and very youthful. His shows are very clever and timely, as he has his models stand on display for extended viewing periods. He had some talented stylists and assistants on the Show.